Traveling is about being inspired, having new experiences and creating meaningful memories. And all of that starts with learning a few things about your destination! Ready to find out a few key details about Nassereith? Nassereith is a neighborhood in Imst. You'll discover it 7 miles (11 kilometers) to the northeast of the downtown area. 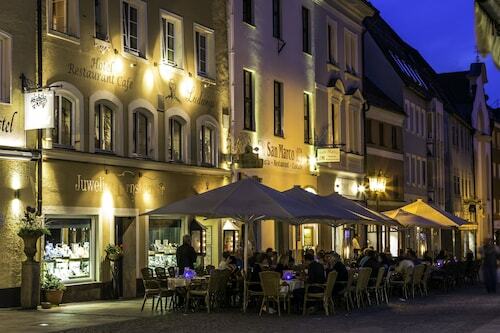 Forget the attractions — it's the locals that make a place tick. Here in Imst, there are 9,000 of them. Booking a hotel and airfare bundle deal via Travelocity is the simplest way to save cash on your vacation to Nassereith. 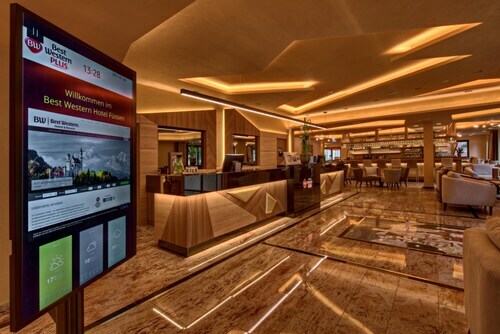 On top of that, you can choose from more than 400 airline partners and 665,000 accommodation options. After a stress-free trip? Our Customer 1st Guarantee gives you the freedom of 24/7 personal assistance on all services. Have you seen an even better bargain elsewhere? We'll meet the price and reimburse the difference^. All vacation reservations may be easily canceled or changed with no charge from our end. And so long as you get in fast, most accommodations don't charge fees either^. Throw down your suitcase and lay your head at one of the 12 accommodations just a short commute from the middle of Nassereith. Unfortunately, properties are limited in the center, but a cozy bed isn't all that far away! 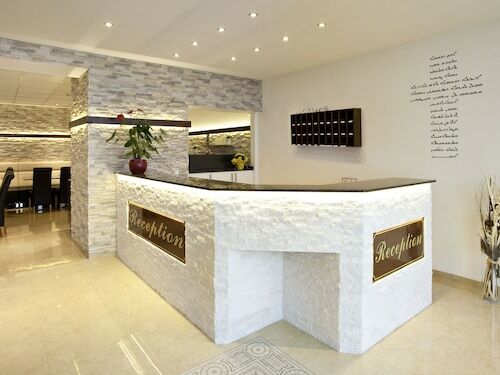 Take a look at the offers at the Singer Sporthotel & SPA (Fam. Singer) and the Hotel Post Lermoos (Kirchplatz 6). Where do you fly into for Nassereith? Board the plane and take a nap. Once you've disembarked at Kranebitten Airport (INN), you'll need to travel 25 miles (40 kilometers) to reach the central area of Nassereith. Can I rent a car in Nassereith? Forget waiting for the bus. View your car rental options via Travelocity and get the most out of your time in Nassereith. As soon as the wheels hit the tarmac, you'll be able to rent a ride from Kranebitten Airport. Drop by Budget and Sixt. They are located just a few minutes walk away. If you love to hunt down a bargain, you could also try Avis and Hertz. Whether you're looking to de-stress with a cocktail or two or seek out some thrilling activities, Travelocity will help you. All you have to do is turn up! Why not visit Tarrenz? It is located around 3 miles (5 kilometers) away. Situated on a lake, this hotel is 2 mi (3.2 km) from Fern Pass and within 9 mi (15 km) of Marien I Cable Car and Gurgltal Miners' World. 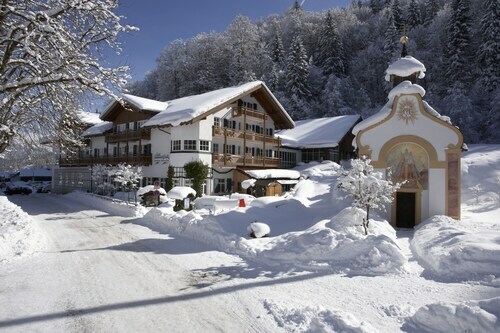 Hochmoos Express Ski Lift and Schloss Starkenberg Brewery are also within 12 mi (20 km). Situated in a rural location, this property is within 9 mi (15 km) of Fern Pass, Gurgltal Miners' World, and Schloss Starkenberg Brewery. Fasnacht House and Imster Gondola are also within 9 mi (15 km). 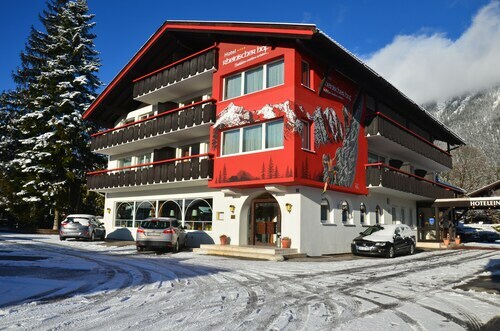 Located near the slopes, this Garmisch-Partenkirchen hotel is within 1 mi (2 km) of Olympic Hill and Garmisch-Partenkirchen Ski Resort and close to winter sports such as cross-country skiing and skiing lessons. Ludwig Street and Partnach Gorge are also within 2 mi (3 km). Garmisch-Partenkirchen Kainzenbad Station is 7 minutes by foot and Garmisch-Partenkirchen Station is 28 minutes. 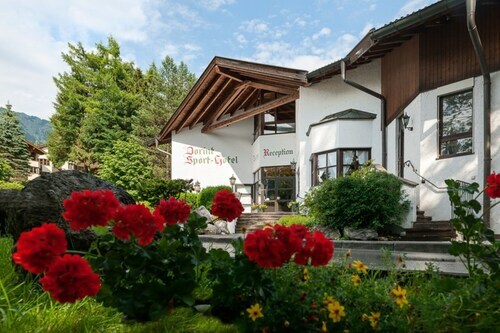 Conveniently near skiing facilities, this Grainau hotel is within 3 mi (5 km) of Hell Valley and Kramerplateauweg Hiking Trail and close to winter sports such as cross-country skiing and snowshoeing. Museum Aschenbrenner and Casino Garmisch-Partenkirchen are also within 3 mi (5 km). 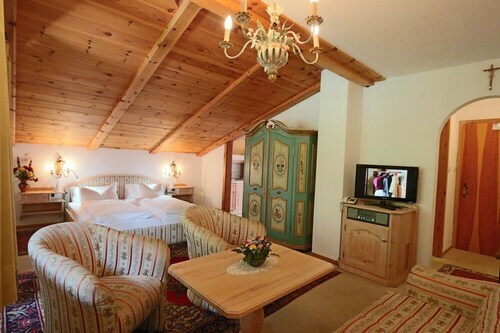 Conveniently near skiing facilities, this Garmisch-Partenkirchen hotel is within 3 mi (5 km) of Museum Aschenbrenner and Garmisch-Partenkirchen Ski Resort and close to winter sports such as cross-country skiing and snowshoeing. Kramerplateauweg Hiking Trail and Richard Strauss Platz are also within 1 mi (2 km). Garmisch-Partenkirchen Hausberg Station is 28 minutes by foot and Garmisch-Partenkirchen Station is 29 minutes.